Can my cataract grow back? 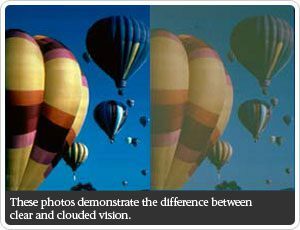 A cataract is a clouding of the eye’s natural lens that will occur with aging and other diseases. A cataract is not a film or growth over the eye. Cataracts cause blurred vision and can lead to blindness. The only treatment is surgical removal of the cataractous lens and replacement with an artificial lens implant. Anyone can develop cataracts, as it is a normal aging process of the lens. However, they can be caused by diabetes, radiation, steroid use, injury, certain medications, and other metabolic problems. A significant cataract will cause blurring of the vision enough so that it may affect your daily activities, including reading, driving, cooking, or cleaning. Usually, the first symptom is poor vision when driving at night. 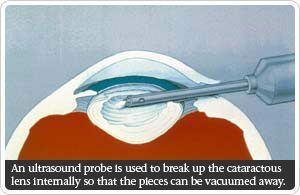 Surgery is the only way to treat a cataract. However, the technology in this surgery has advanced tremendously in the past ten years. The surgery usually takes less than 20 minutes and is done under local anesthesia while you are awake. When the blurred vision caused by a cataract produces a visual handicap, cataract surgery may be considered. While one individual may require cataract surgery because of glare intolerance and depth perception problems associated with driving, a person who does not drive may find that cataract surgery can be delayed until reading vision becomes blurred. Everyone’s vision needs vary according to occupation and leisure pursuits. For example, an aviator would require cataract surgery so that he could keep flying safely long before someone who did not have a job with such keen vision demands. To find out whether cataract surgery is needed, a thorough eye examination is necessary in order to tell whether or not any other vision disorders are present. In the hands of a skilled surgeon, cataract surgery is 98% successful with no complications. However, as with any surgery, complications can occur. Fortunately, most complications are very unusual and are not serious. But there are some rare complications that can result in further loss of vision or even loss of the eye. A hemorrhage, an infection, or a retinal detachment are some of these possibilities. Occasionally, a swelling of the retina may occur, called macular edema. Many of these complications are treatable and fortunately, all are rare. You return home that night wearing a patch on your eye, which is removed in our office the following day. The first day, the vision is usually blurry and sometimes double; but within a few days, the vision clears. You can usually return to your normal activities within 48 hours, including showering, driving, shopping, cooking, and cleaning. Bending and lifting can be done on a limited basis immediately after surgery. Drops will need to be placed in the eye on a regular basis for three to four weeks after surgery to reduce inflammation. The eye will need to be protected with glasses during the day and a shield at night for the first two weeks. After six weeks, the lens for your glasses can be adjusted and your eye is completely healed. No, cataractous lens removal is permanent. However, the original lens capsule in which the lens implant is placed may become clouded over by remaining cells. This clouding can easily be permanently corrected with a laser. A laser treatment is a painless procedure that is performed in our office in just a few minutes, and there is no recuperation period.